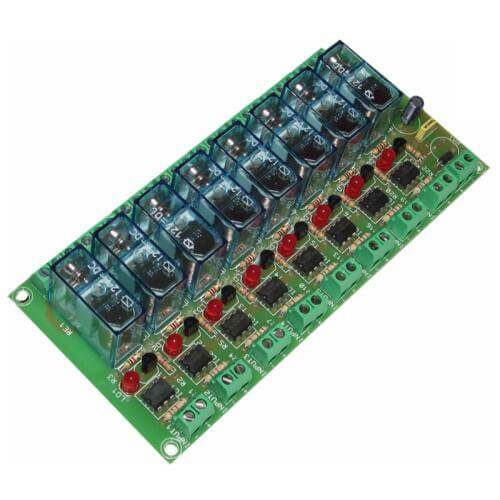 8 channel opto-isolated IO relay board. The 4N25 optocouplers electrically isolate the control signal of each input from the corresponding mains rated relay output. Each relay has an LED that indicates it's status. The power input has reverse polarity protection. Screw terminal blocks for all connections.